Spend the day sailing the waters in the British Virgin Islands on this tour from Virgin Gorda. 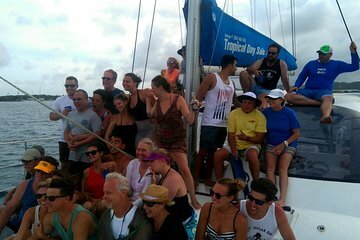 Step aboard a catamaran with your private group and enjoy personalized attention and a flexible itinerary during your full or half-day sail. Work together with the crew to plan an itinerary that includes island-hopping, beachcombing, or snorkeling.